2559 sq. ft., +390 in finished lower level, 4 bedrooms and 2.1 baths. Beautiful hardwood floors throughout the home with tile in the bathrooms. Vaulted master bedroom has dual closets and a private bath. 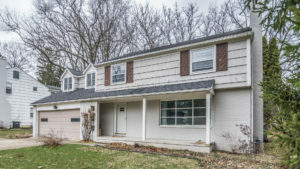 For more information on 2527 Devonshire or to request a private showing of this home, contact the Ann Arbor Real Estate specialists with The Bouma Group today at 734-761-3060 or email info@bouma.com. View photos and a description of the Ann Arbor Hills neighborhood here!